Working from home these days is becoming increasingly more popular. 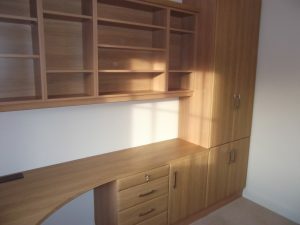 With the power of the telecommuting a home office is slowly becoming an essential part of everyday life. 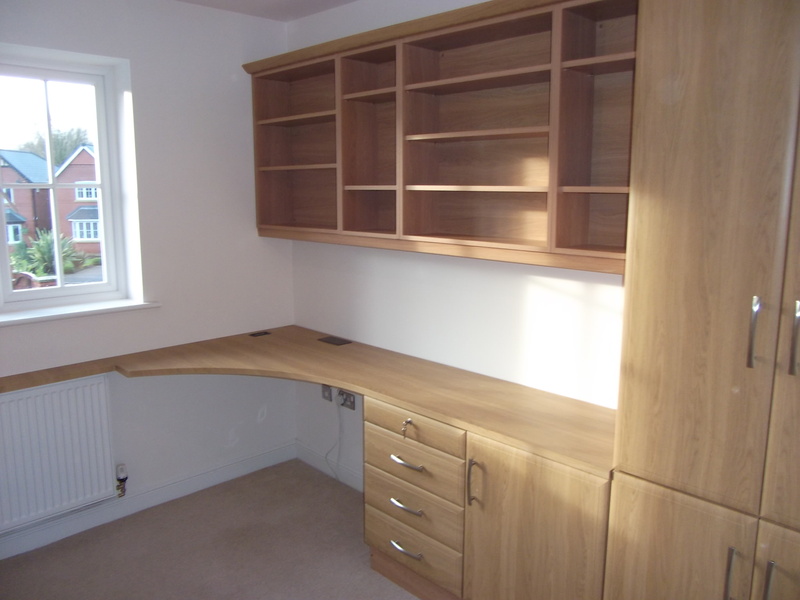 This home office installed by Arley Cabinets of Wigan features an ergonomically shaped desk, storage space and shelving capable of storing a large quantity of home office supplies and equipment. 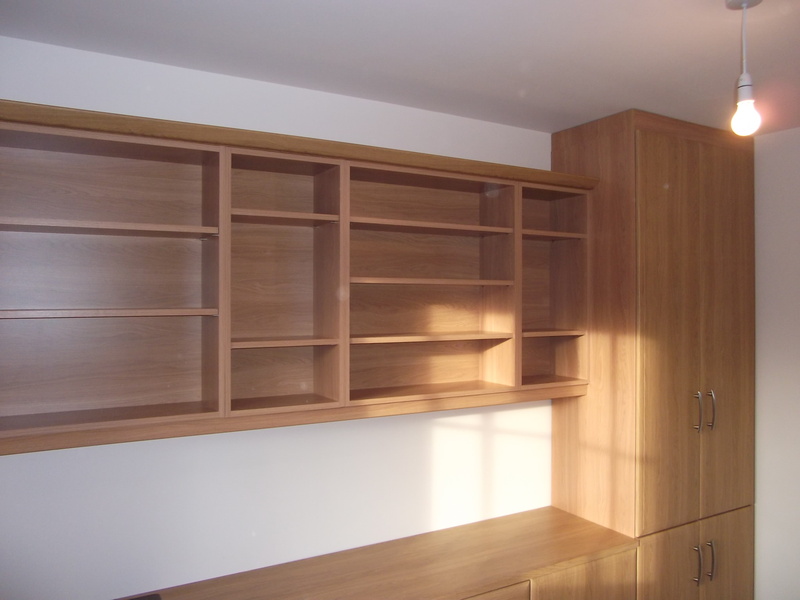 Arley Cabinets of Wigan designed, constructed and installed this immaculate home office from start to finish. The Standish based client was extremely happy with the outcome and couldn’t wait to get all the office equipment set up and earning. 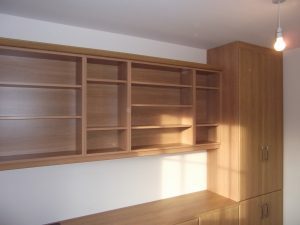 If you are interested in a home office contact us today. If you would like to work from home more, here are some handy reasons why working from home can benefit the business you work for. Improved employee retention – working from home helps staff work more flexible times this especially helps working parents. Likely to see productivity gains – due to fewer less commuting and interruptions. Staff can be more motivated – working from home can reduce stress and sickness levels. Small offices – the more staff work from home the greater the savings on office space. Local is better – having sales staff local to customers can increase sales. Better work/life balance – employees working from home can lead to improvements in health and well-being.